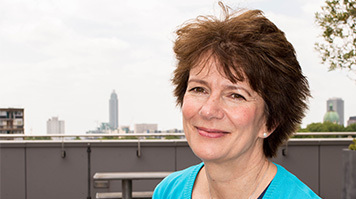 Prof. Nicola Thomas at London South Bank University (LSBU) has just become the first UK nurse to be appointed a Professor of Kidney Care. Throughout her career Nicola Thomas has worked within the renal speciality and has gained extensive clinical, teaching and research experience. Her clinical interest lies in the care and management of chronic kidney disease within primary care. Prof. Thomas also holds the honorary nurse consultant post at Barts Health NHS Trust where she is involved in educating patients and staff within the East London Community Kidney Service. Her specific expertise lies in patient and carer involvement in education and research. Professor Warren Turner, Dean of LSBU’s School of Health and Social Care, said: “This is fantastic news – not only for Nicola, who has worked so hard and well deserves this honour – but for LSBU’s School of Health and Social Care. Prof. Thomas also holds the position of Deputy Vice President (Education) of the British Renal Society and is the Editor of the Journal of Renal Care. She has previously been President of the European Dialysis and Transplant Nurses Association/European Renal Care Association. Find out more about Nicola Thomas' past research projects.